To fight against the cold, you must use all the elements available and essential for winter, from head to toe. Starting with the head, winter hats can help you a lot to warm you up during cold days. Thanks to winter hats you can scream: I will never be cold again. Whether you’re working or studying, or you’re enjoying the snow on the mountain or in the park, winter hats are an essential touch. Not everyone likes winter hats but there are elegant alternatives that can be adapted to any style as well as wool hats, felt hats, winter turbans or winter berets among others. Just like socks and gloves, winter hats are simple gifts that are also very convenient and easy to use. When you find the perfect hat, it is easy for you to miss it if you go out without it from home. If you do not have one, after reading the article you will surely want to buy it. If you decide for it, you should know that there are many styles, whether sporadic use or daily use. The key to keep warm is to protect the entire skin. Instead of just focusing on a sweater, vest and jacket, try to cover your head as well, whether you have more or less hair. Mens winter hats not only increase overall comfort at low temperatures, and protect the face, head and ears in freezing conditions, they can also help to improve your style when you are away from home. 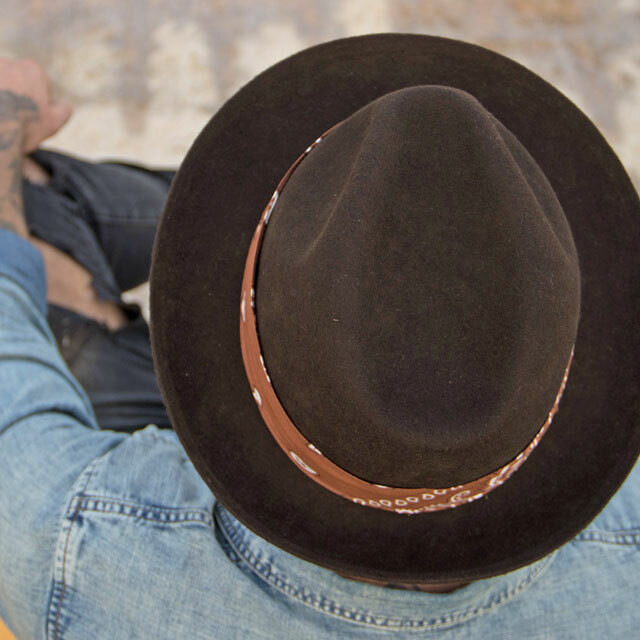 There are men’s hats for winter in a variety of styles and today we will explain you a little about all of them. Before choosing a style (or several styles, there is nothing wrong with having a selection of winter hats in the closet), you should know what is going to work according to the environment and the situation. – Bright colors such as orange and neon green have “security” associations. They are used by the most extreme participants of winter sports to facilitate search and rescue, and in many parts of the world they are also used by hunters. So if you are not a professional hunter or snowboarder, you better not use them. – Colors that are not neon but still have bright colors, primary shades and red and blue tones are sports and informal winter garments for leisure activities such as skiing and snowboarding. You can use them on weekends, but you probably want something a little more pleasant to go to work or to go out at night. – Dark colors and earth tones are the most elegant: blacks, grays, browns, etc. These tend to have a greater combinative capacity with other garments and you can use them both on the ski slopes or in the opera for example. – Hats that cover the ears are considered less formal than hats that expose them. However, if the temperature is too low, it does not matter if you are wearing a tuxedo. Your ears will be covered! – The crowned hats are more formal than the soft-top hats. – The thicker and softer the material, the less formal the hat will be. Thin, stiff hats and felt hats are the best options for dressing better, while thick materials and fabrics are informal. – Accents such as pompoms, fringes and other hanging pieces are always of low formality. Avoid them unless you try to look unpleasantly cheerful and energetic. – Most men have at least two options: a thick and practical winter hat for everyday life outside, and a winter hat to dress more formal and less warm for short walks between transport and an elegant environment like the work or theater. The wool hat is a round garment used to cover, wrap or decorate the head. Unlike other similar accessories, wool hats do not usually have visors or wings. A wool hat is designed to provide warmth in cold climates. Typically, the wool cap is simple but there are many variants. Historically, the wool knit cap was an extremely common form of hats for sailors, fishermen, hunters and others who spent the day working outdoors. Today it is still commonly used for this purpose in Canada, Scandinavia and other cold regions of the world. The wool caps are especially recommended for the winter season. The wool is naturally water resistant and removes moisture. The material is breathable and is also an insulator. Avoid getting sweaty, but it keeps you warm and comfortable. The truth is that, when the extreme cold comes in winter, wool hats become an essential accessory also in the closet for the kids. Sometimes, combining comfort and style in one product is not easy, however, there are children’s fashion brands specialized in the design and manufacture of wool hats that do. You can, and should, include a wool cap in your outfits even if you do not wear a lumbersexual beard. It will always be a trendy element. Following the recipe of the hipster trend in reverse and always fixing as an ingredient the wool cap in men’s outfits – in a casual look where the tonic is the casual sport -sneakers, wool scarf, sweatshirts, or thick wool jerseys- we add a cloth coat to create a more current look; in the opposite case, when we seek to give a formal touch to the formal look, you only have to include a wool hat to your suit look or wool blazer, so you will get that opposition of clothes that will earn points to your set without losing a whit of style. Our advice is to combine the rest of your accessories by choosing wool as a fabric, such as a tie or a pocket handkerchief. Several styles of dress caps (fedoras, homburgs, bowler hats, etc.) come in thicker felts for winter clothing. Some modern styles have incorporated a semicircular ear warmer of the same color as the hat, or in a complementary pattern to it, which is tucked inside the crown or removable, allowing to preserve the basic dressing style without sacrificing hearing protection. These are, in general, your best option when you need to look elegant during the winter. The ear warmers spoil the image a bit, but the modern designs are quite discreet, and you can do it if you are bold. However, when you really need to look sharp (appearing in front of a camera, etc. ), put the flaps up or remove the lining, the plain hat by itself remains a standard of superior dress. 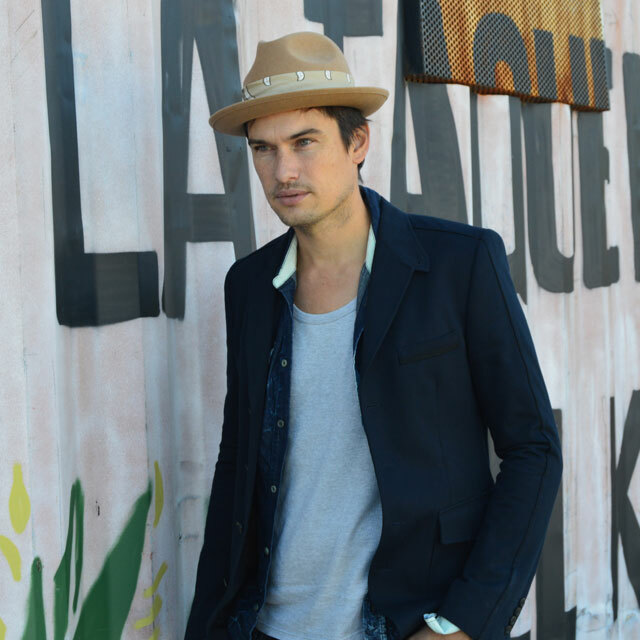 The wide-brimmed felt hat has become the quintessential complement to all fans of the hippie style. This design is usually confused with the fedora, a hat very similar to the borsalino but made in much softer material. This knitted turban is a timeless headwear that offers warmth and fashion. With a very deep and loose crown, this winter hat provides a very good head coverage from ear to ear. For those who suffer from hair loss conditions, this is also an excellent protector for the head. You may also like to use a cotton band on the inside to reduce irritation and achieve a more complete appearance at the same time. Our backing bands are sold separately. Ideal for those with or without hair, either for fashion or practical reasons, this knitted turban will attract attention and ensure that it looks good and feels safe at all times. The origin of the turban is not well defined but it is known that the pioneers in using it were the Hindus, who took it as a distinctive object to differentiate the social classes. However, over time they stopped differentiating classes to become a fashion accessory for all women. In the 20s and 50s, turbans took their place on the catwalk. Hollywood movie stars made this accessory their trademark and that’s how they managed to make a place in the history of fashion, and designers always have them in their collections with new forms and modern materials. Brigitte Bardot, Frida Khalo, Rihanna, Katy Perry, Sarah Jessica Parker and Queen Maxima of Holland, fashionistas women of all times choose and chose the turban as one of the essential accessories to complement different looks, with different materials and colors. This winter, the most chosen are wool and velvet, although silk is always a great choice, and can be worn in many ways, including those made with scarves or scarves. The winter berets are back! We do not know if it is the effect of having appeared on the catwalks of Gucci and Chanel in previous shows, or if it is that little obsession we have with the French style, the thing is that for this fall and winter all we want is to get a beret. Comfortable and stylish winter berets are a novel way to wrap us up and we love them, because in addition to that French allure they have, they bring a touch of elegance and mystery to the looks making even the most simple look super interesting and chic. When you see the winter berets, it is inevitable to think of the classic French style, consisting of a sea-striped sweater, capri pants, a flat shoe and the mythical camel colored raincoat. The androgynous touch “a lo garçon” is given, of course, by this flat and bulbous cap, which is usually wool. An accessory linked to a multitude of eras and cultures that can symbolize both the French bohemian spirit, the military authority or the revolutionary ideology of the 60s. Now, the luxury firms have wanted to bring it back and reinterpret it. It is curious that it is an accessory linked to the poor classes in the 15th and 16th centuries and it has become a symbol of style and elegance. Chanel also anticipated it in his parade in Havana. A beret designed by Karl Lagerfeld that resembled that of ‘Che’ Guevara, many said. How to clean panama hats?